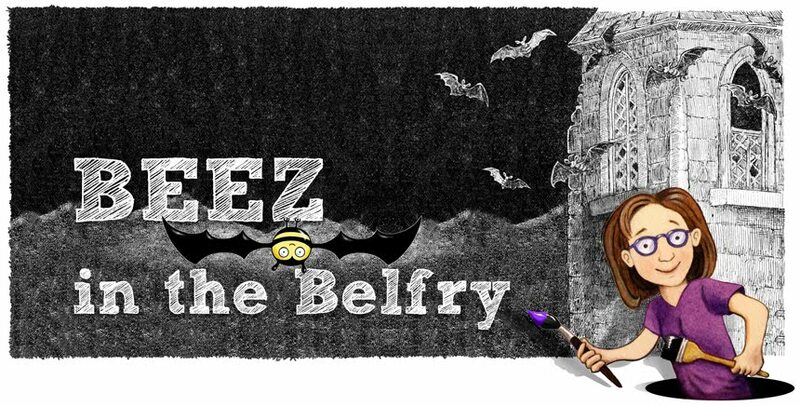 BEEZ in the Belfry: Pow! Zing! Comic Camp! My hotel room smells like feet. This place - the Hotel Coolidge in White River Junction, Vermont - is an intriguing mix of blast from the past, mysterious - and "well, that's what you get for the price." I have definitely stayed in much worse conditions. And there are some things here that are better than some of the expensive suite hotels I've stayed in too. The hallways are literally endless! And they are wider than the actual rooms. And every once in a while a train whistle blows as it pulls into the station across the street. Meanwhile, 7 miles up the street, there is a big crack in the earth and it is hopping with people! Quechee Gorge is mobbed with tourists, hikers, and shoppers. Go figure. I got really queasy looking over the railing - and every time a car passed behind me on the bridge, the whole thing bounced. blurgh. There are nice hiking trails that go along the side of the gorge and UNDER the bridge. From under here, there is a creepy, cracking sound when the cars pass over. But I think I prefer having my feet on the solid ground! I'm only in White River Junction for the week, but already I have asked myself a thousand times - "Could I survive here for a whole year? Maybe two?" 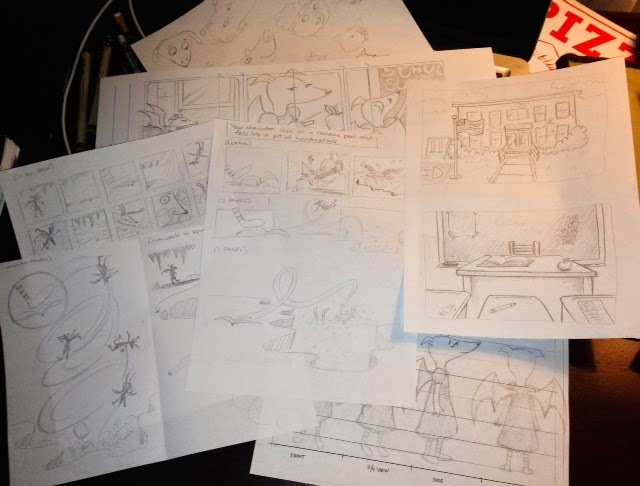 I really love the idea of getting my Masters in Cartooning. How cool would that be?! Yes, there are plenty of obstacles to that goal, but for now, I should just enjoy this one week. Poster in the window of the school. Sign from the original occupant of the school's building. In keeping with my "I just can't escape from work" plight... remember last summer where I ran away from my over-scheduled illustration classes, to an art camp on a remote island in the middle of a lake, in the middle of nowhere - and my cabin-mate was the very teacher from that illustration class!?... this is not quite so bad, but I had kind of been hoping to pretend to just be like everyone else and focus on comics. I wanted to think like a beginner and see it all anew. Get rejuvenated. I wasn't in the classroom for more than 10 minutes before a man turned around and introduced himself saying that we had met at CZT training number 12 and he was so excited that I was here! He has my books and my App. My cover is blown. But, actually, it was kind of a relief. 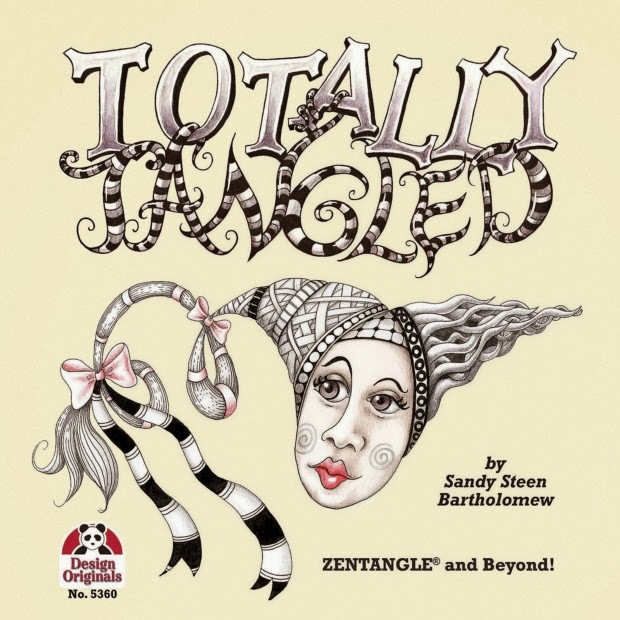 I'm no good at small talk with strangers and talking about Zentangle made us instant friends. I am curious to see his abstract cartoons tomorrow. He also has a web comic with a penguin. Tomorrow, I have a "portfolio review" during lunch. Of course, I haven't had a "portfolio" since I graduated from art school. And, yes, I am weirdly nervous! Today was a blast! We learned about character design, environments, thumbnails... and we drew... FAST! (I always draw slow!) I was remembering how my son's summer studies teacher said the kids would learn as much Arabic, in five weeks, as college kids learn in TWO YEARS. Whoa. Now I see how that is possible. When you are packing in just one subject - and your teacher talks really fast and times you - you get a lot done! I love seeing how "WTF!?" (when the challenge is given) can turn into "Maybe if I..." (when you are forced to draw something. Anything. NOW!) then turns into "Hmmm... best idea ever!" Tune in tomorrow, when Amret will learn to make bold gestures! Awesome, it sounds like LOTS of fun! Keep us posted on your adventures! Can't wait to see pictures of your creations, too! Yes! We learn "inking" tomorrow! I've stayed at that hotel. It is kinda creepy. I can't wait to hear more about this adventure of yours. Cool that you met another CZT. Sounds like a lot of fun. Love your Amret, I can't wait to see how she evolves. If you think of WRJ as a calm place surrounded by busy places it's not so bad. Visit Hanover if you have time. It's busy, fun and there's quite a bit to look at there. Now that class has started, they keep us pretty busy. I would like to visit Hanover though. Sandy you have such fun adventures and I enjoy reading about them. You have such interesting adventures! I want to sit on your shoulder and live them with you. But, in a way, you invite us all to do that by sharing them here. Thanks. Dianne, nothing personal, but I have enough on my shoulders lately. ;-D You are welcome, though, to sit next to me. Hee hee. You are so lucky to be able to attend. If you haven't already, check out Roz Chast, a famous cartoonist/story teller. Her book, "Can't We Talk about Something More Pleasant? : A Memoir," is incredible in terms of its nuanced character drawings and the information she conveys through them. Oooo, yes! I saw that book at the bookstore. Very cool. Maybe I'll get it for myself as a "graduation present." They have a tiny, amazing library here at the school too. I like your "Amret" character -- how did you come up with that name, Sandy? Enjoy every minute of your retreat -- isn't it fun to be in the student role and not "putting on the show" as the instructor? "Amret" is a hybridization from my daughter's name (Lilah Amaret) and two Egyptian goddesses (Sakhmet and Bastet). Sandy. sorry to blow your cover, really but I quite enjoyed your company.